Experts say that obesity has reached a ‘tipping point’ in Ireland. Here are tips they shared with us on how to keep your kids healthy and active. OBESITY IS AT a ‘tipping point’ in Ireland – and children face a shorter life span than their parents. That was the message given at the Early Childhood Ireland conference in Croke Park at the weekend, where a stark warning was sent out about the dangers Irish children face from obesity. Dr Catherine Woods, lecturer in exercise psychology and physical activity for health in DCU, and Professor Donal O’Shea had some stark warnings at the Happy, Healthy, Able – Are Irish Children Fit for Life? conference. They warned that a “surplus safety” attitude to child play in relation to avoiding all risk, even minor risk, is preventing children from learning essential life skills. Dr Woods told TheJournal.ie that “surplus safety” is a “combined effort between communities, parents and day care settings”. “No one group is ever more responsible than the other,” she said. She explained that in playground settings, “we are taking away what we would deem as adults quite ‘purposeless’ equipment”, such as tyres, boxes, or hay, and instead giving children only very structured forms of play. Children are maybe losing some creativity – how to take risk in a calculated way: ‘if I do fall and graze my knee it is part of growing up’. They become more resilient because of that, as opposed to becoming freaked out. Dr Woods said that unstructured free play and structured play are are both extremely important. With free play, they learn about cooperation, collaboration and “about rules and understanding – how to follow rules but how to engage in competition”. She described “engineering” running out of children’s lifestyles as “not a risk free approach”, but one that has consequences. Among these consequences is that children might be less active, which in turn impacts on their health. “Active children are the most likely to lead active lifestyles and sedentary children are the most likely to remain inactive. It’s not complicated,” said Dr Woods. She noted that there is no national recommendation for under-fours in relation to physical activity, while the recommendation for children five and over is at least an hour of activity a day. Children aged under four should have three hours of physical activity a day, of any intensity. Woods acknowledged that it can be challenging as a parent to implement these levels of activity, but “what we need are solutions as opposed to blame”. Walking children to school counts as a way of keeping them active, and can be implemented easily by those who live near their child’s school. Dr Woods recommends that children under two years old should avoid ‘screen time’ and children aged two to four should have a maximum of one hour screen time per day. According to DesignedToMove.org, children face a shorter life expectancy than their parents – five years shorter – due to their lack of inactivity. Ask your school (or creche or daycare) what your child is doing regarding physical education. When you go to parent teacher meetings, ask about this. “Children need to learn fundamental physical skills,” said Woods. Be aware – don’t let it slip by. Be aware of what they’re doing and how much activity they’re doing. Alarmingly, 75 per cent of parents in one study reported that their child is sufficiently active – even though research proves that only 19 per cent (or one in five) of children are meeting the recommended level of physical activity. 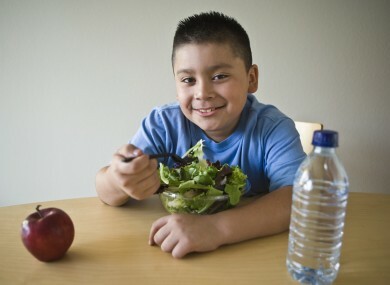 Meanwhile, 75 per cent to 85 per cent of parents perceive their overweight child as normal weight. Professor Donal O’Shea also warned that we have reached a tipping point in Ireland in relation to obesity levels in both children and adults. He told the conference that it is “an explosion currently crippling our health system” when so much of it is preventable. Most importantly, parents need to lead by example. Email “Children face life span five years shorter than parents - but you can change this”. Feedback on “Children face life span five years shorter than parents - but you can change this”.